Peace brings prosperity and rebirth and nowhere is this more evident than in the thriving city of Belfast, its name derived from the Irish: Béal Feirste meaning "Mouth of the (River) Farset." 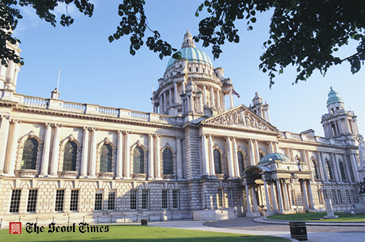 It is the capital city of Northern Ireland and the second largest city on the island of Ireland. Visitors have come from all over Ireland and beyond to sample its charm, hospitality and with voracious curiosity for its political past and present. Belfast has the appeal of a city playing catch up, making up for all the wasted years of instability, where now normal everyday life can be cherished as its value is recognised. Belfast has been at the centre of the linen, tobacco, rope making and shipbuilding industries, with the city's main shipbuilders Harland and Wolff becoming the largest and most productive shipyard in the world. The RMS Titanic was built here. 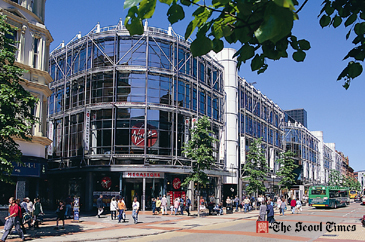 Victoria Square is the newly opened shopping centre in the heart of the city full of the biggest names on the high street. The Lisburn Road offers designer stores, boutiques and restaurants and there is St. Anne's Street whose relaxed piazza-style ambience will bring a continental flaour to the city's old Catherdral Quarter. 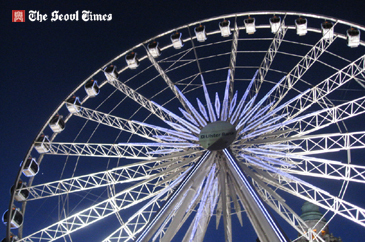 For a good view of the city either by night or day start off with a spin on The Big Wheel, situated beside City Hall this has fast become a landmark of Belfast with over 400,000 users since it was put up. From as little as £4 and lasting about 20 minutes, it offers great value, especially compared to its London cousin. If you want to splash out V.I.P. gondolas are available with champagne for £68 for 4, maybe an ideal place for an engagement proposition, just make sure the answer will be positive as you won't be able to get off if it isn't! After your birds eye view of the city why not take one of the myriad of city tours, these will bring you to all the landmarks while explaining the cities turbulent history. Available by Bus, Black taxi or a guided walking tour these usually take in Parliament Buildings at Stormount home to the Northern Ireland Assembly (the seat of governance) and is a potent political monument along with the Political murals, Belfast's murals have become symbols of the province's past and present divisions. Almost 2000 have been documented since the 1970s. Don't miss out on the Harland and Wolff shipyards where two iconic yellow-painted cranes more than anything else have come to symbolise Belfast, they are its Eiffel Tower, its Statue of Liberty. For all Titanic buffs the Titanic's Dock and Pumphouse is obviously a necessity but will be enjoyed by all, sitting on Thompson Dock is the final place where the RMS Titanic rested on dry ground. See the ship's physical footprint in history and learn about Belfast's shipbuilding legacy at the new visitor centre. Tours take place at 2pm everyday. A Belfast landmark, sits across from the Europa hotel, sumptuously decorated originally by Italian craftsmen and now lovingly restored, with a good food menu and quality drinks. Reserve one of its snugs (private tables) and enjoy lunch. This is a real gem in the heart of the Cathedral Quarter. The bar is unique in its ownership as it is owned by The Belfast Unemployed Resource Centre. The Resource Centre's managers had always relied on various grants to fund its work, when in the mid nineties, they came up with the idea of generating some of their own funds by going into business. It's marble counter, high ceiling and open fire, and established on a policy of no Television, Jukebox or gaming machines, it's clientele includes artists, journalists, trade unionists and writers. The John Hewitt's lunchtime menu is featured in The Bridgestone Foodlovers Guide to Ireland. Centrally located just behind City Hall, this four star hotel is beautifully furnished with a vibrant and bar and restaurant. The staff are naturally welcoming and homely unlike so many modern boutique hotels the Ten Square has not forgotten what makes a good hotel. With views of the Belfast Wheel and City Hall, and within walking distance of all of what's on offer this is an ideal location to base yourself. Parking is tricky as the hotel itself does not have an underground car park and you will have to leave your car in a car park near by. The restaurant offers a great inventive and well prepared menu, and is a great option to start your night out in. Opened in 1989 and nestled in a red brick building accessed through cobbled streets this gem of an eatery is where you will find good food created with locally sourced produce. Cooked, presented and served well this is a Belfast institution. 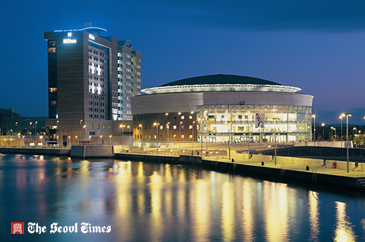 Belfast has two airports, the George Best City Airport is situated 4 kms outside the city centre. The Airport Express 600 bus runs from the Airport terminal to Belfast City centre. The International airport is situated some 30 kms outside the city and is served by the Airbus that operates a 24 hours schedule to the city centre. Daily flights are available to and from London through Aer Lingus, Ryanair and BMI Baby, where international flight connections can be caught from there. Flights from Seoul to London can be found for as little as 800,000 won. Belfast has all the trappings of a bustling city, shopping, sites, history and all the bars, pubs and clubs you go need but its the people that sets it apart, a friendliness exists here that has been lost in other destinations, go, enjoy and get a taste of something that no magazine article can express through words. "Seoul Gaels Go for Three in a Row"
What Really Happened at Helios Bar?